jennifer mills › Overland out… and in with the new! After six years and 25 issues as fiction editor at Overland literary journal, it’s finally time for me to move on. I’m a little sad to let go of the role, but I’m also excited to hand the opportunity on to someone else – I well remember how little I knew about being an editor when I started, and now feel I can claim some expertise, so I’m pleased to be passing that opportunity for professional growth on to another writer/reader. Overland has opened the position to an application process, so if this interests you, please apply! It’s a paid gig and incredibly rewarding in non-$$ ways too. There’s also a shoutout for more volunteer readers. Don’t worry, I have a very exciting last issue coming up: I’ve commissioned four brilliant writers – Clare G Coleman, Robin Eames, Elizabeth Tan and Wayne Macauley – to respond to the idea of utopia in fiction, and I’m really pleased with what they’ve each come up with. To accompany this special set of stories, I’ve written an essay of my own about why utopias and dystopias matter so much right now, in which I share some of my thoughts about the radical potential of imaginative work – something I’ve learned from, as much as brought to, my time at the magazine. My last issue will be out in December. 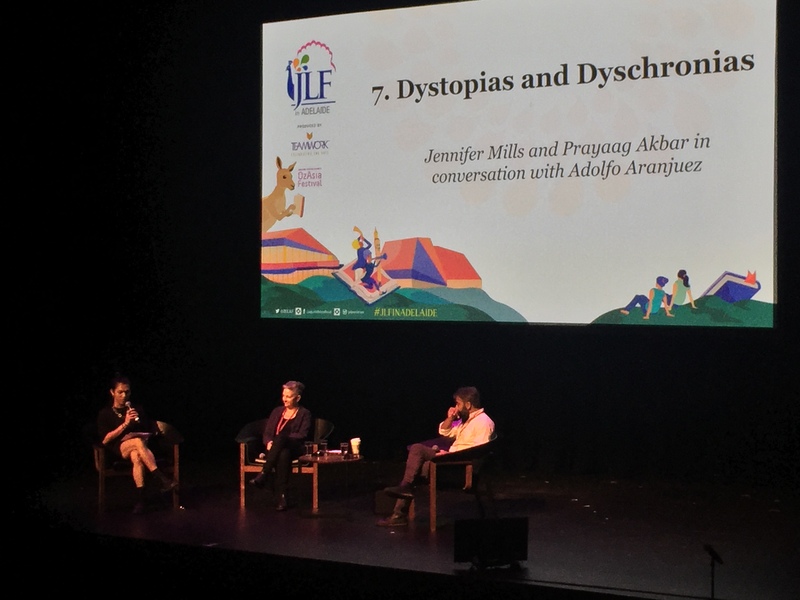 I am so glad to have been part of an organisation that has this collaborative, radical energy, and remains focused on the power of literature to make change in the world. I’m grateful to all the writers I’ve worked with over the years (amazingly, there are more than 70!) for what you’ve taught me. I’ve experienced the joy of being a part of someone’s first publication experience, seen writers go from publishing short fiction in the journal to publishing their own collections, watched work I’ve edited or commissioned being celebrated elsewhere, including in Best Australian Stories anthologies, and had the opportunity to work with some of Australia’s more established writers too. I’m proud to have participated in some shifts at the magazine: fairer payment for writers and editors, the increasing plurality of voices represented in our pages, and the constant process of reflecting on our own power structures. I’m proud of all the prizes and the judging processes I’ve been a part of, including the first ever OL/VU prize, and all the money we’ve given away to brilliant emerging writers – I’m looking forward to watching more of them build their careers. I’m grateful to have worked with two brilliant editors, Jeff Sparrow and Jacinda Woodhead, and a crack team of hardworking readers, whose labour has underpinned my own; due credit to all of you. So yes, I am at the end of an era, but also the beginning of another. I’ve just come back from China, where I’ve been working on a new book, which is slowly coming together and will probably occupy most of the next year. I loved being in Beijing again, renewing my connection with the place and the language; I did something I wanted to do for a long time and climbed Emeishan, one of the sacred Buddhist mountains, an experience I hope never to forget; I visited Garze, in western Sichuan, where I looked at some much bigger mountains, and learned a bit about Tibetan culture; I thought a lot about borders, again. 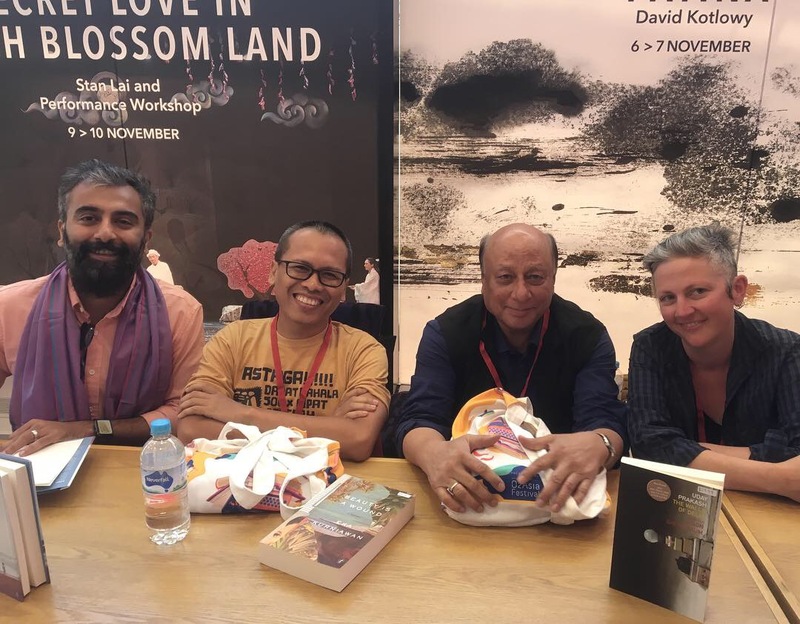 A few days after flying home from Hong Kong, I took part in a pretty special event: the first Jaipur Literary Festival held in Adelaide as part of OzAsia. Below are a few pics from that event, which took place over three beautiful days at the Festival Centre. 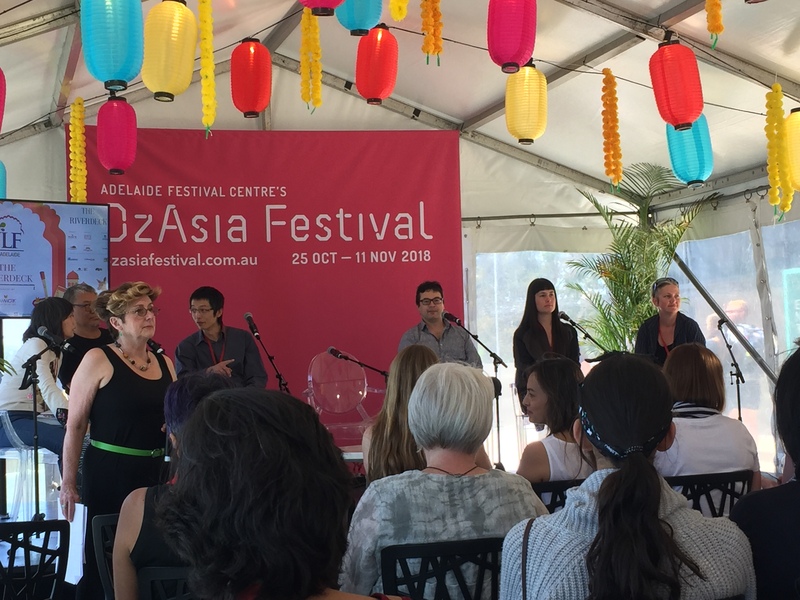 It was so great to be a part of an Australian festival that felt truly international, with lots of translation and cross-cultural conversations (and a proper-sized queer contingent!) You know you’ve been part of a good literary event when you leave not just with a big reading list and a head full of ideas, but with new friendships too. 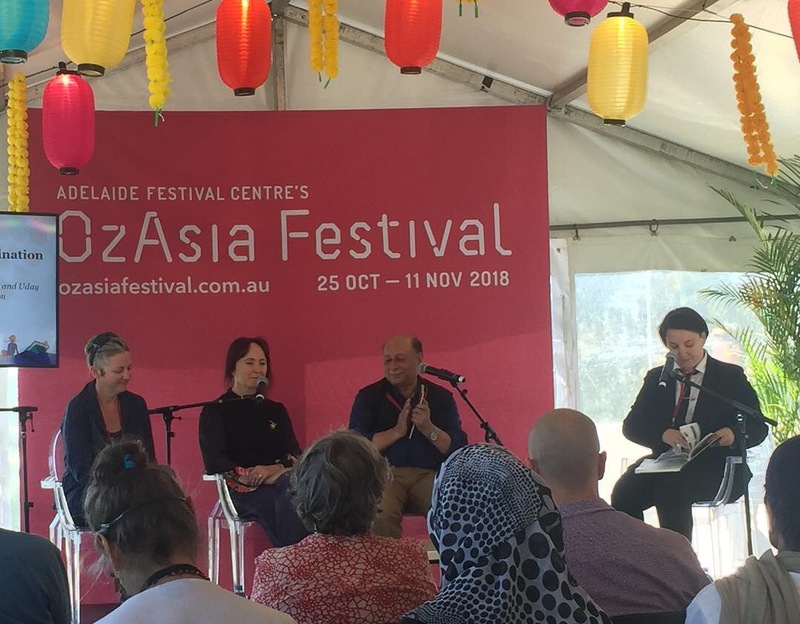 This collaboration is an exciting thing for Adelaide, but also for Australia more broadly, which has the potential to participate in truly pan-Asian conversations. Despite the trend towards close-minded conservatism in many of our institutions, and the pressures on funding that affect us all, there is a great willingness among cultural practitioners to work together and share ideas and be a part of something bigger. It was a very heartening festival to be a part of, and a wonderful welcome home. This was written by jenjen. Posted on Thursday, November 15, 2018, at 1:14 pm. Filed under overland. Bookmark the permalink. Follow comments here with the RSS feed. Both comments and trackbacks are currently closed.